A 4 star rated Guest House, 60 metres from the beach, in a quiet cul-de-sac, with several good pubs and restaurante accommodations nearby. 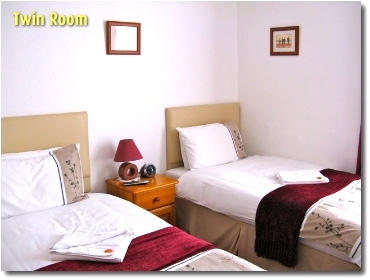 All of our rooms are en-suite with Freeview tv & tea/coffee making facilities. We offer a wide choice of breakfast menu inc. veggie option. We have off-street parking and free wi-fi access. We are non-smoking throughout, and have a cosy lounge for our guests to relax in and plan their holiday. 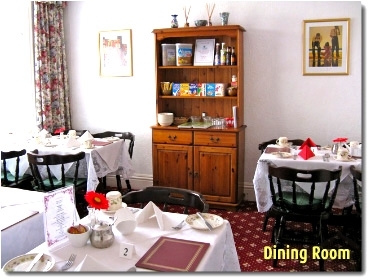 We are ideally located as a base to explore all the delights of South Devon such as the award winning Round Robin trip (steam train, river cruise and open top bus trip), Paignton Zoo, Babbacombe Model Village, Kents Cavern, Bygones, Woodlands - the list goes on. Our aim is to make your stay so enjoyable, you will want to come again. We try to be as flexible as we can so if you have any special requests, just ask and we will do all we can to meet your needs. 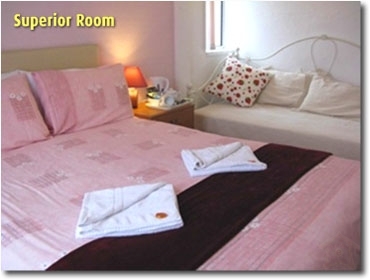 Mentioned Rates are based on Double Room.